Info on world's largest motorcycle auction, Michael Monge, Calibash, Winterfest, Emo Skate Night, Wayne Newton and more. 1. Sharky's Woodfired Mexican Grill is hosting a silent party to celebrate a new menu item, the Dray Bowl, on Jan. 26. Silent Savasana founder Dray Gardner will be in attendance. DJ CLA will spin tunes. $3 freshly made sangrias, $3 draft beers and $12 Dray Bowls. 2. The world's largest motorcycle auction is happening this weekend at the South Point. Mecum Auctions will bring approximately 1,750 motorcycles to Las Vegas for the event. 3. Banger Brewing in downtown Las Vegas is celebrating its 5th anniversary this weekend. They will be serving $4 house beers on Jan. 26. They will also be selling anniversary bottles. 4. Michael Monge is performing Jan. 26 at Tuscany Suites. Monge sings all the great songs by Frank Sinatra, Frankie Valli, Tom Jones, Billy Joel and more. 5. Calibash is turning T-Mobile Arena into a giant disco party on Jan. 26. Performers include Enrique Iglesias, Wisin, Yandel, Becky G, Bad Bunny, Osmani Garcia and more. 6. Big Dog's Brewing Company's annual Winterfest is happening Jan. 26 at Big Dog's Draft House on Rancho Drive. Enjoy more than 50 craft beers, stews and live music. 7. DISCOVERY Children's Museum is hosting a "Night at the Museum" on Jan. 26. The event is for adults only. Silent disco, light tropical bites, raffles and more. 8. The Gentlemen of Four Outs is performing Jan. 26 at the Golden Tiki on Spring Mountain Road. Professor Rex Dart and President Mikhail Kennedy will also be in the house. 9. Esther's Kitchen in downtown Las Vegas is now offering brunch on the weekends. Brunch is served 10 a.m. to 3 p.m. Saturdays and Sundays. 10. Head to Crystal Palace on Rancho for Emo Skate Night on Jan. 28. Skate to emo, indie and pop-punk. Recommended for ages 7 and over with good skating ability for safety. 11. Wayne Newton is now performing at Cleopatra's Barge inside Caesars Palace. The title of the show is "Up Close and Personal." Performances are Mondays through Wednesdays. 12. ReBar is hosting a Pomeranian Rescue Reunion Party on Jan. 28. It's been a year since the Poms rescued from a U-Haul near Sandy Valley. Fundraiser for The Animal Foundation. 13. "Obsidian & Neon: Building Black Life and Identity in Las Vegas" opens Jan. 28 at Clark County Government Center. The exhibit in honor of Black History Month features photographs by Las Vegas photographer Jeff Scheid. Public reception from 6:30 to 9:30 p.m. Jan. 31. 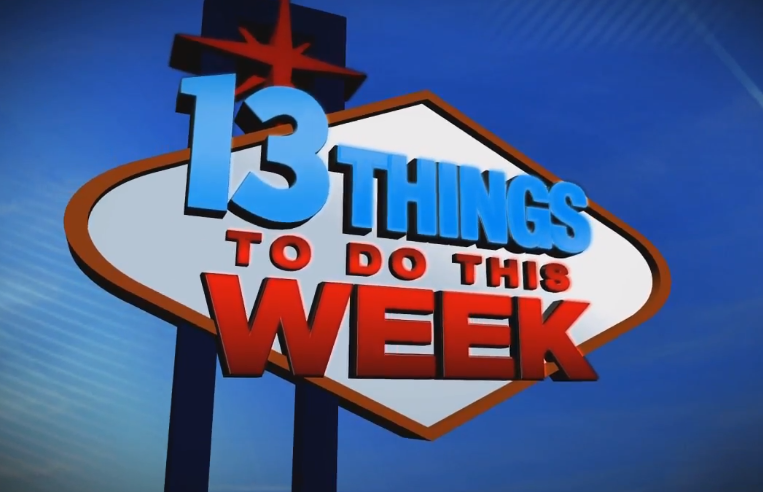 If you would like to submit an item for 13 things, send a press release to joyce.lupiani@ktnv.com.